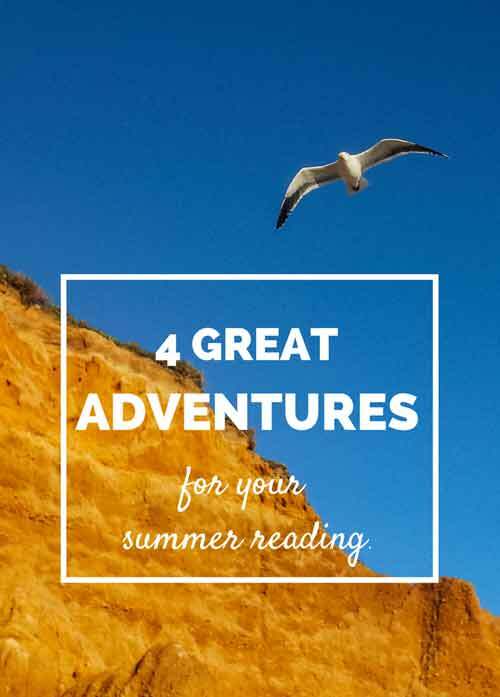 UPDATE: Get the free 2014 summer reading guide here. 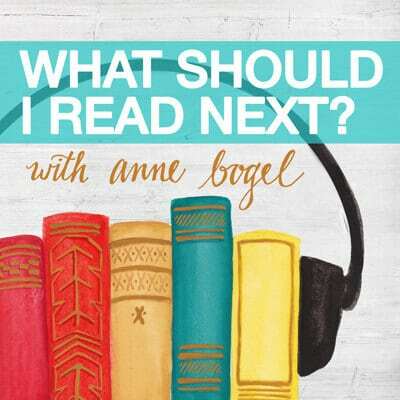 If you haven’t yet, head here to snag your copy of this year’s summer reading guide. Krakauer climbed Mt. Everest while on assignment for Outside Magazine in 1996, which would become the deadliest year in the history of the mountain. 8 people died on the peak the day Krakauer himself summited; 15 died that season. Krakauer lived to tell the tale of what it was like on the mountain that May. A first-class adventure story. 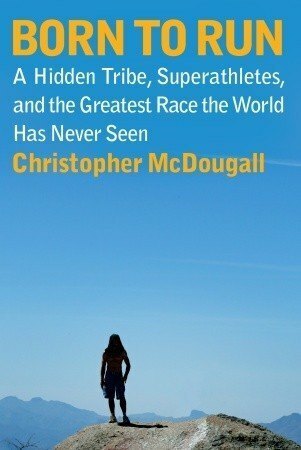 McDougall’s quest begins with a simple question: “Why does my foot hurt?” In search of the answer, he delves into a world of ultramarathons, American expats and the Tarahumara Indians in the Copper Canyons of Mexico. Don’t be put off by the lengthy tangent about Why Running Shoes Are Bad. This is a great book. This sweeping history of the Lewis and Clark expedition reads like an adventure story. 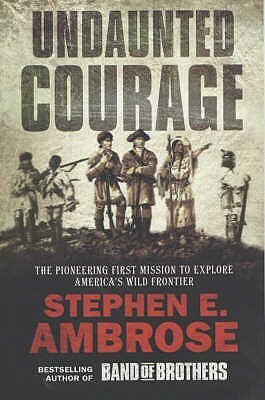 Drawing from the journals of William Clark and Meriwether Lewis, Ambrose re-creates the history of the expedition itself, and succeeds in bringing the characters to life. The book’s a little slow to warm up, but once the expedition begins it’s fascinating. This true story of the storm of the century, which took place off the coast of Nova Scotia in 1991, weaves together the tales of the fishing crew aboard The Andrea Gail and the dramatic rescue of the three-person crew of the sailboat Satori in the Atlantic. 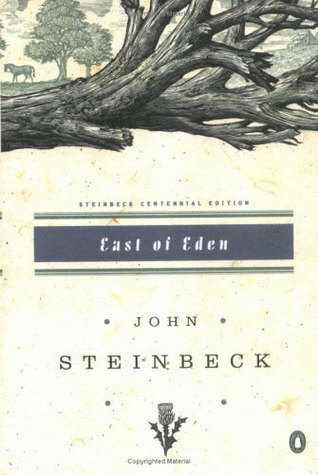 A compelling and page-turning tale of man vs. nature. And don’t forget “Alive!” by Piers Paul Reid about the Uruguayan Rugby team that survived a plane crash and their subsequent months-long wait for rescue by literally doing ANYTHING to stay alive. An amazing testament to the strength of the human spirit, I couldn’t put this one down. Although parts of it are, *ahem*, gruesome (yep, there’s some cannibalism), it is a deeply moving story and definitely makes for a great summer read! Completely agree about “Alive!” Read it as a teen and it still stays with me. Well written account. I’ll, uh, think about that one. I’ve heard it’s riveting but really tough to read. I’ve read Undaunted Courage and Into Thin Air, and thought Courage was the much better book. But if someone has time to read both, then I’d say they should go for it. There is a bit of realistic description, but not too graphic if I recall right. Oops, meant this to be in reply to your comment about Alive. Sorry! I loved “Into Thin Air,” as well as another of Krakauer’s books, “Into the Wild,” about Chris McCandless: a young free spirit who left home to travel the country alone and eventually died in Alaska. (This was also made into a movie a couple of years ago.) It’s not as dramatic but it’s very haunting, with so many questions left unanswered. I agree with the comments about “Alive!” too: that one is really gripping. I haven’t read Into the Wild (though I’ve seen the movie, which I heard was true to the spirit of the book. Any opinion there?) I’ve honestly been hedging on reading it because it’s just so sad. But I imagine it would be a good read. The audio book of Undaunted Courage is wonderful as well. It’s a great listen for road trips. I’ve read and loved all 4 of these. Great picks! Yes–I’ve heard it! Love it. I am amazed to discover I actually read two of these books (most of the books you mention I’ve never even heard of). I love, love, loved Into Thin Air and sometimes dream of climbing Everest myself (or any mountain, I should probably start smaller). That’s funny: reading “Into Thin Air” all I could think was I NEVER want to climb that mountain! I loved both Into Thin Air (my Dad passed his copy to me a few years back) and The Perfect Storm. They were great, captivating reads. I also read Into the Wild and couldn’t put it down. I love a great adventure read! 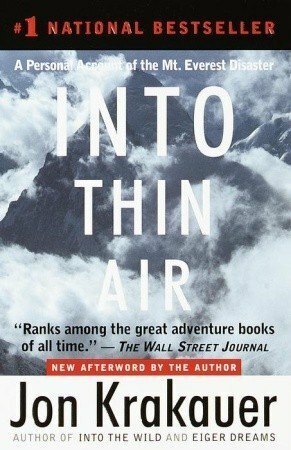 I have read both Into Thin Air and Into the Wild…both excellent reads! 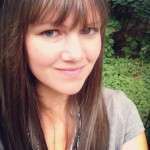 Chris McCandliss’ story is so sad but really captivating. 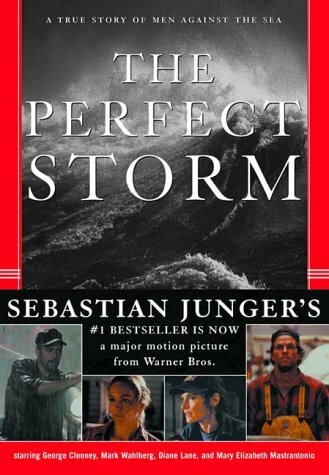 And as far asThe Perfect Storm, PLEASE read the book….there is so much more to it than the movie. Very moving and sad too. 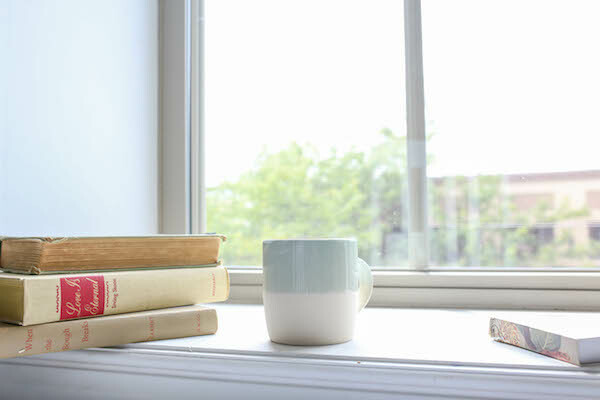 All of these books are inspiring in many ways. One final recommendation not mentioned yet is Wild by Cheryl Strayed…a young woman takes on the Pacific Crest Trail alone having never hiked like this before. Her story is so intricate and uplifting.